14 But how will people call on Him in whom they have not believed? And how will they believe in Him of whom they have not heard? 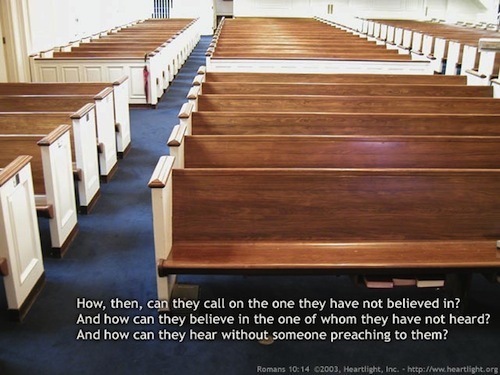 And how will they hear without a preacher (messenger)? In his sermon Good News for All, Pastor Steven J. Cole shared the following practical steps we can share the good news that God forgives every sinner who trusts in Jesus as Lord and Savior. '1, Begin locally. Begin praying for the salvation of those you have regular contact with. Pray for opportunities to talk to them about the Savior. 2, Educate yourself about world missions. Read about missions. Pray for our missionaries and give to the cause of missions. 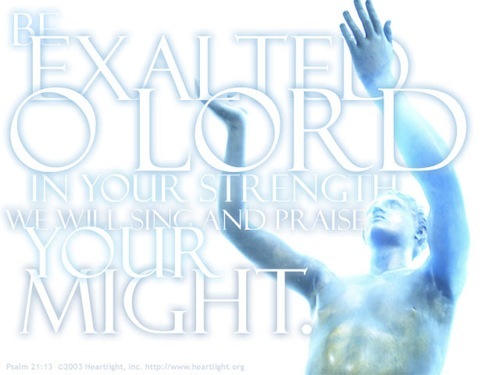 Mike, may Heavenly Father continue to bless you with spiritual wisdom and understanding as you serve Him through this One Year Bible Blog. May He use this blog to bring His Word of Truth to far corners of the earth, in Jesus' Name, amen.